After traveling this summer to the “Land of the Long White Cloud,” it is easy for me to see why so many fall in love with New Zealand. 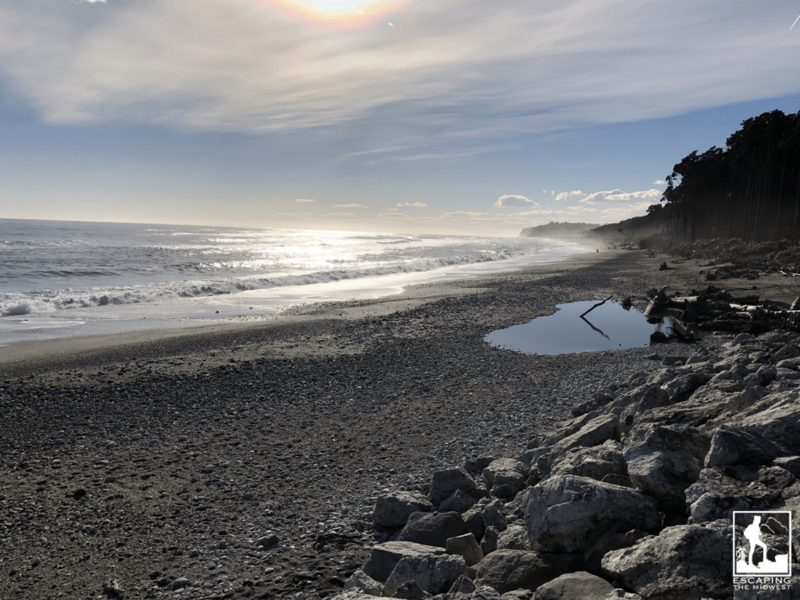 From the 9,000 foot Southern Alps to the beaches of Kaikoura, it is a such a unique and gorgeous country. In my experience, hospitality among the native New Zealanders (also known as Kiwi’s) was found in every town we visited, big or small. The Kiwis are not only friendly and helpful, but adventurous, environmental, creative, and very tough! 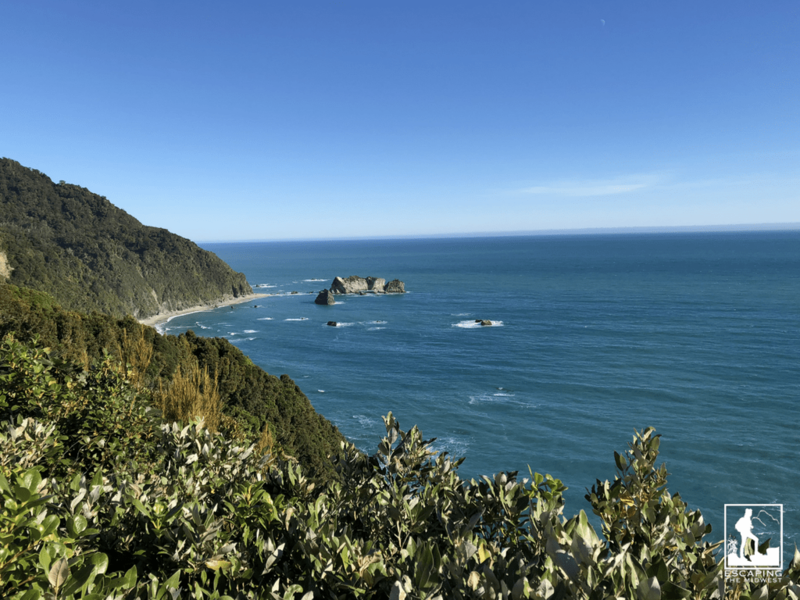 New Zealand is big country, so our six day visit had to be confined to one island. 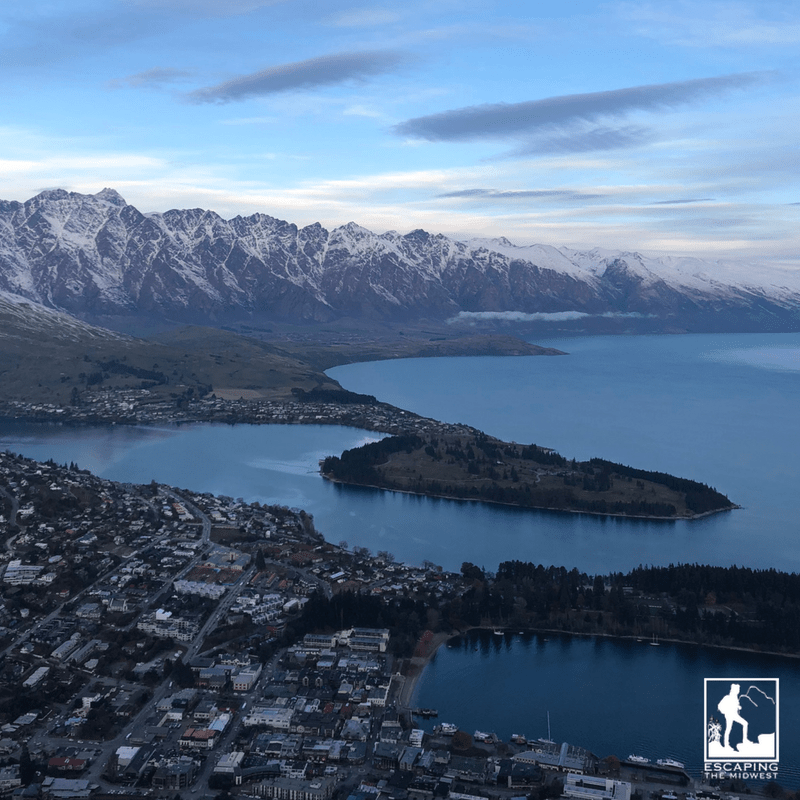 We chose the south island for its natural beauty, abundance of wildlife, and the energy of Queenstown. If you’re vacationing to New Zealand from the US and are staying less than 3 months, you can travel on a Visa Waiver Visitor Visa. This basically means that you don’t need a visa, as long as you can prove you are leaving within three months (usually this is done by showing your airline ticket/info home). On the flight into New Zealand, you’ll fill out an arrival card, which is basically your “visa” into the country. Just be sure to have your passport and return flight information handy while at the airport. They will ask more than once! The current in New Zealand is 240 volts. You will need a type I plug adaptor, that has two or three angled pins. This is the same plug that Australia uses as well. You may need to purchase a voltage converter for appliances, chargers, or other electrical items from home to ensure that what you’re plugging in will work with the country’s voltage. As the US uses 120 volts, most of the world uses 220-240 volts. Check to make sure your electronics can use the higher voltage, or bring a voltage converter to be safe. Driving here is done on the LEFT side of the road, and the driver sits on the RIGHT side of the car. Keep in mind that the windshield wipers and turn signals are also on the reverse side of the steering wheel. Turn signals are on your right and wipers are on your left. You can drive legally in NZ for 12 months if you have a license from the US. 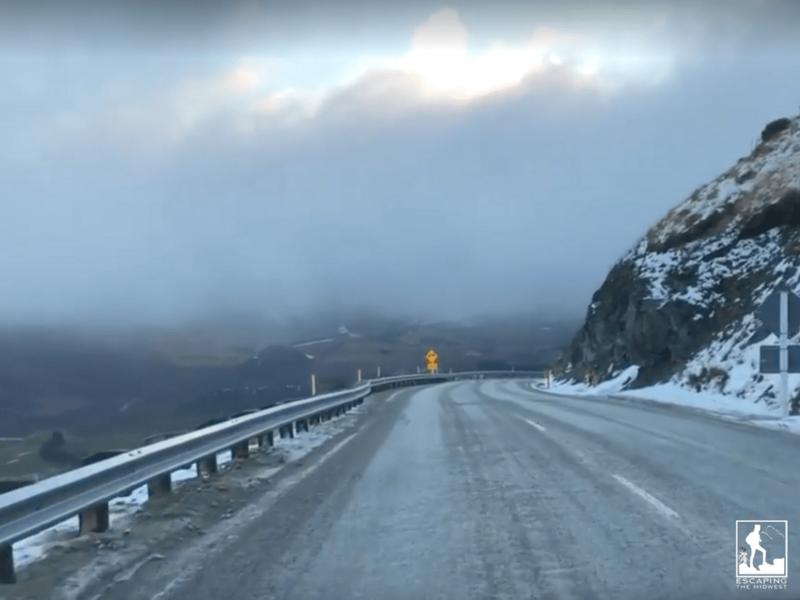 Be careful driving through southern New Zealand during the winter. Snow chains are required in areas of high elevation when snow and ice are expected. Prominent areas where snow chains are required are Arthur’s Pass, driving to Milford Sound, and Crown Range Road just east of Arrow Junction. (I recommend taking a tour of Milford Sound and letting someone else who knows the road and conditions, do the driving!) If chains are required, officials on the road will NOT let you pass. Fortunately, you can buy snow chains at most service stations, but also check with your rental car company (before leaving the airport!) to see if they rent chains for your specific car as well. Driving above the clouds on icy and steep Crown Range Road, outside of Queenstown. The tectonic plates of Australia and the Pacific slice through the south island just north of Kaikoura and extend along the western coast. Especially along eastern coastal roads, expect a steady stream of road work due to earthquakes, mudslides, and weather. Road work from Picton to Christchurch along state highway 1 is ongoing . To ensure you don’t encounter any 5 hour detours (as we did), check out the latest travel information on the country’s transportation website. The unlisted maximum speed limit is 100km/hr (kilometers per hour) on highways or open roads and 50 km/hr in urban areas. It’s very easy to underestimate times for travel. Most highways are two lane roads, many roads are windy and/or steep, and you will encounter one lane bridges (see below) which can slow you down. In most places, you drive around the mountains and not through them. So do yourself a favor and allow more time than you think you need for driving. This one lane bridge sign shows the driver that he/she must must give way to oncoming traffic. This sign says ‘proceed with caution’ on the one lane bridge, as your direction has the right of way. If you encounter a one lane bridge, look at the traffic sign that notes it. The larger arrow indicates which direction has the right of way. The smaller red arrow shows who needs to yield to oncoming cars. See images above. Only half of the country’s train tracks have alarm systems when intersecting a road. There may be lights but no sounding alarms. Slow down and use caution near railroad tracks. It’s illegal to use a hand-held cell phone while driving. Drivers under 20 years old have a zero alcohol limit when driving. For adults over 20, the blood alcohol limit is 0.05. Both the North and South islands of New Zealand are in the same time zone. New Zealand is 16 hours ahead of US Eastern Time, 17 hours ahead of Central Time, and 19 hours ahead of Pacific Time. If you are traveling between New Zealand and Australia, note that there is a time difference between the two countries. New Zealand is two hours ahead of the eastern coast of Australia (Melbourne, Sydney, Brisbane) and four hours ahead of the western coast. 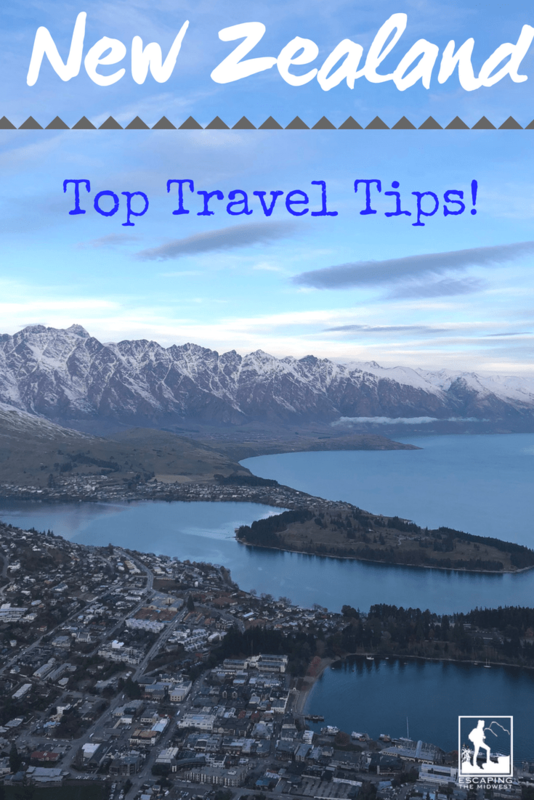 Time zones and use of daylight savings time varies within Australia so be sure you know the local time for where you will be traveling. Tipping is NOT mandatory in New Zealand. If you receive exceptional service at a restaurant, giving a 10% tip is more than generous. Waiters don’t rely on tips, as they receive a fair wage up front. Tipping taxi drivers isn’t done either, unless you’re paying in cash and don’t want the change back. Tour guides and spa service workers also don’t expect tips, but if you get excellent service, a small tip is appreciated. Tipping in hotels is common practice in New Zealand; maids and bellhops are often tipped a few dollars for their services. Before you use a credit card in New Zealand, make sure there is no surcharge. Many places will charge you a surcharge to use a credit card. These charges can range from 1-4%. It’s always better to ask up front! If you see the word “EFTPOS,” (or EFTPos, eftpos) this means a debit payment. EFTPOS stands for electronic fund transfer at point of sale. It’s more commonly seen in New Zealand and Australia because EFTPOS is also the brand name for the system that handles these transactions. Since we use more credit cards in the US, be sure to make sure you have an adequate amount of money in your bank accounts to handle any EFTPOS debits. While those of us in the States often refer toNew Zealand and Australia together, note that they are separate countries with separate governments. Also, they are approximately 900 miles apart. Despite the fact that both New Zealand and Australia are democracies, Queen Elizabeth II is still their queen. Because these countries were once a British territory, they are part of the Commonwealth of Nations, which has Elizabeth as its constitutional monarch. Although she is considered the Head of State in these nations, it’s basically a symbolic position. She is, however, pictured on the money in these two countries. Be prepared for all four seasons of weather, especially if you are traveling around. We drove through cold, snow-capped mountains and then through a warm rainforest on the same day! Since New Zealand is an island in a huge ocean, weather forecasts are often unpredictable. Weather extremes are the norm here, so pack lots of layers and be ready for any weather. It’s also best to have a raincoat on you wherever you go. Click here to learn more about New Zealand’s weather. If you’re interested in learning about Maori culture, you’ll find much more to see and do on the north island. Rotorua is the best place to visit within New Zealand to learn all about the Maori culture and its people. Rugby is a national sport and pastime for all Kiwis, young and old. You will hear about and see rugby merchandise, posters, and games being broadcast everywhere. New Zealand’s team, the All Blacks, is ranked #1 internationally. If you don’t know anything about rugby, you will by the time you leave New Zealand! Keep an eye out for the exclusive Manuka honey that is only cultivated from New Zealand and southeastern Australia. Bees feast on the nectar of Manuka trees to make this honey that some studies show has antibacterial properties in humans. Manuka honey is often sold as alternative medicine, claiming the honey clears infections, aids digestion, heals cuts, and boosts the immune system. If you plan on purchasing some while abroad, do your homework first and learn how Manuka honey is rated. If you are traveling to the western side of the south island, watch out for the small black sand flies. They bite, which can leave you with a sting and an itch for days. These flies are mostly found on the beach and near open water. Although known to bite at dawn and dusk, my family got bites during the daytime as well. 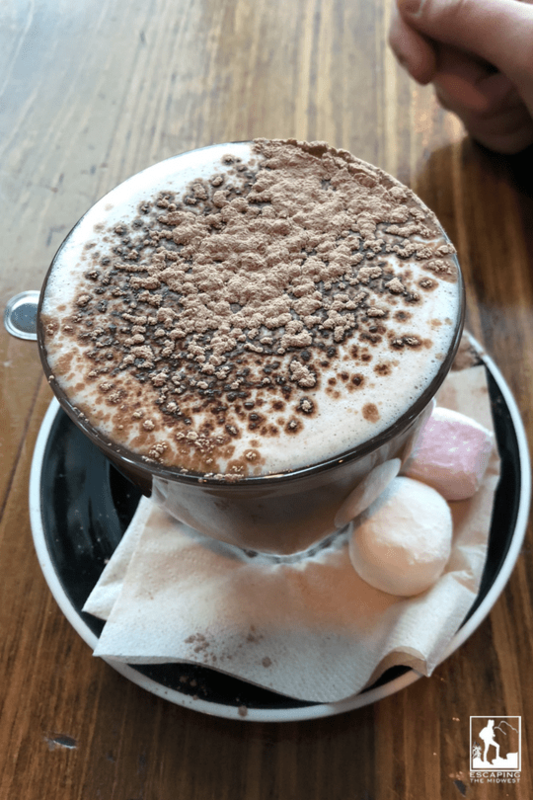 Hot chocolate in New Zealand is unlike any other I’ve tried. So delicious! There are amazing espresso and hot chocolate drinks sold in cafés in New Zealand. You won’t find any regular coffee, but a “long black” (similar to a US “Americano”) will be your closest thing to American coffee. Espresso is all that’s sold here and the country even claims to have created the “flat white.” Be sure to try the hot chocolate here as well, complete with homemade marshmallows and a dusting of cocoa. My daughters tried several hot chocolates from many different cafés and they were all made this exact way. New Zealand hot chocolate was, by far, the best I’ve ever had. 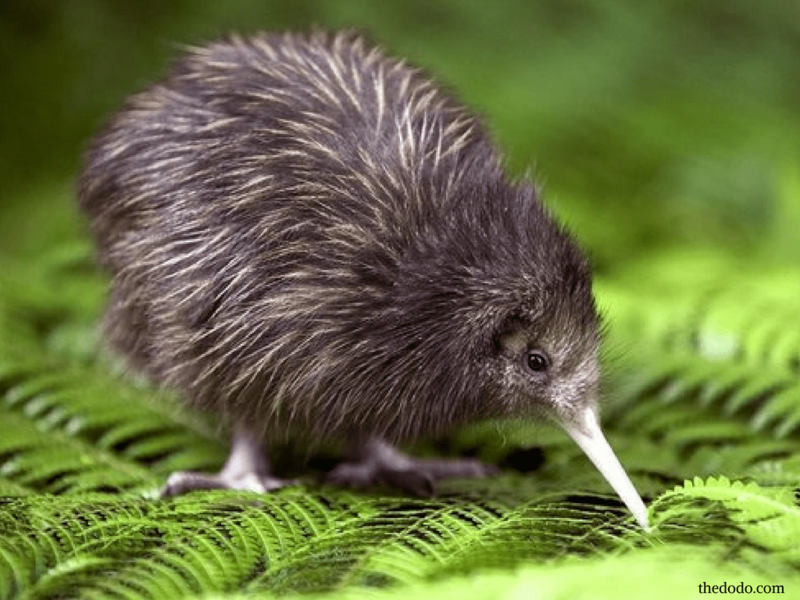 New Zealanders are called Kiwis not because of the fruit, but because of the Kiwi bird. Kiwis are flightless birds (about the size of a chicken) that are native to New Zealand. 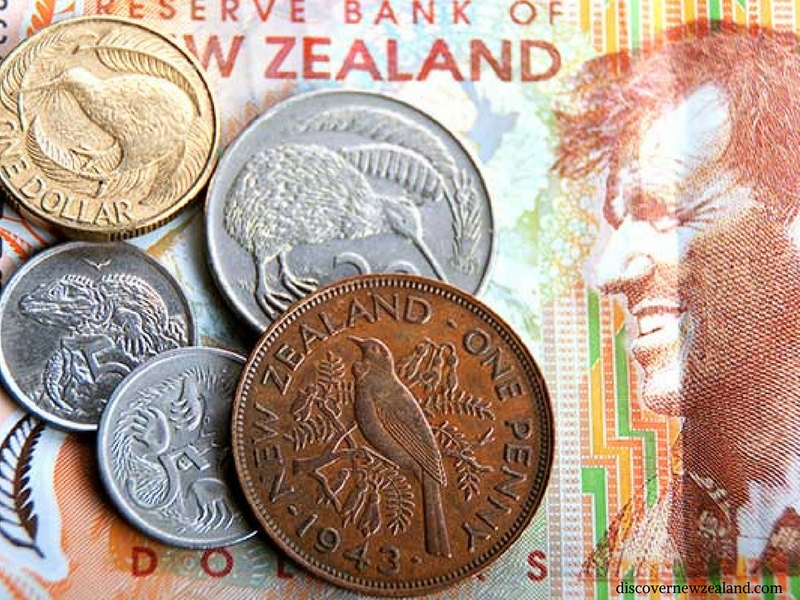 As the Kiwi is now a recognized national symbol for New Zealand, the bird can be seen on many club and city crests and logos and is even on the one dollar coin. There are more sheep in New Zealand than there are people. In fact, there are about 5 million people and 30 million sheep! The southern island of New Zealand is the 12th largest island in the world and yet fewer than 25% of the entire population of New Zealand lives on the South Island. New Zealand should definitely be on everyone’s bucket list to visit! If you can plan a visit, give yourself at least two weeks to see both islands, but three weeks is optimal. New Zealand is a marvelous country with amazing landscapes, enriching culture, and welcoming people. What’s your favorite spot in New Zealand to visit? Ka Kite Ano and Happy Travels!